As an Official Army Photographer, "Mac" Fleming's assignment was to take motion pictures of significant wartime events for the US Army. In the pouch intended to carry his first-aid kit on his belt, he instead carried a small personal camera, which he used to take pictures of the people and places that interested him, capturing in his field notes details of the life he observed. From these records, Fleming has assembled this absorbing private chronicle of war and peace. Assigned to the European Theater in February 1945, he filmed the action from the battle for the Remagen Bridge across the Rhine, to the fighting in the Hartz Mountains, on to the linkup with the Russian forces at the Elbe River. 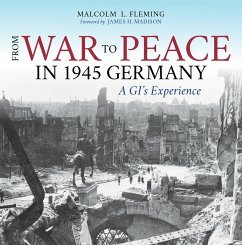 After the armistice, Fleming helped document how the Allied Expeditionary Force established a military government in Germany to cope with masses of POWs, establish control of the country, deal with the atrocities committed by the German army, and help thousands of newly released slave laborers return home to Poland, France, and Russia. He also recorded how the army provided rest, recreation, and rehabilitation to the remaining US soldiers and sent them home by truck, train, and ship. Awaiting shipment home, Fleming explored postwar German town and country life and toured some famous castles and historic spots. 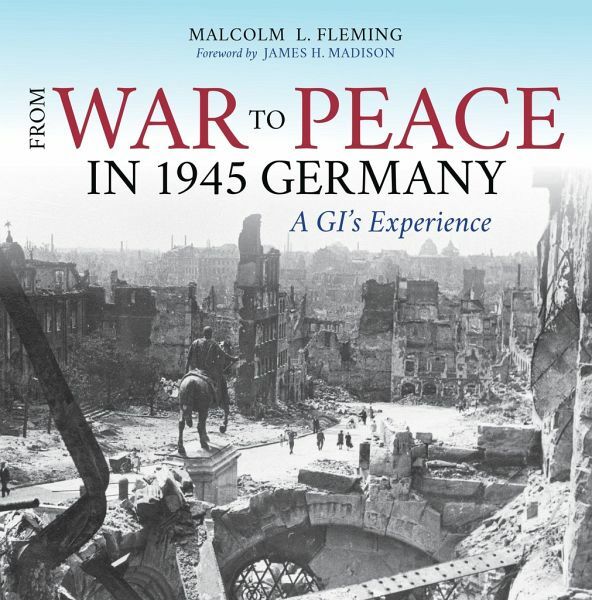 The foreword by historian James H. Madison describes the important role of photography in war and the special contribution of Fleming's photographic diary. Malcolm L. Fleming is Professor Emeritus of Education at Indiana University. A professional photographer for over 80 years, he was an Official Army Photographer in the U.S. Army Signal Corps from 1942¿1945. James H. Madison is the Thomas and Kathryn Miller Professor Emeritus of History, Indiana University Bloomington, and the author of Hoosiers: A New History of Indiana (IUP, 2014) and Slinging Doughnuts for the Boys: An American Woman in World War II (IUP, 2007). 17. Where Are the German PW's?